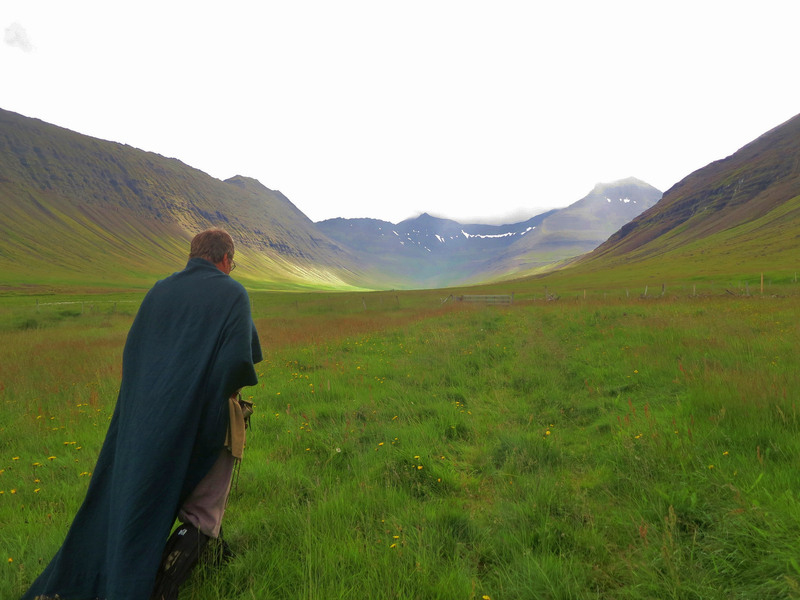 Reciting sagas in the Westfjords of Iceland. Thorkel’s prophecy came true with the help of a big spear. After an anonymous assailant stabbed Asgerd’s lover, Vestein, Vestein’s and Thorkel’s brother-in-law, Gisli—“a man of great prowess, [yet] fortune was not always with him”—initiated the obligatory, inexhaustible cycle of revenge killings. Honor and familial chore-shirking would doom Gisli to a life of feud, outlawry, and death by mob, but not before he, too, had seized the chance to speak a great many verses. When I first heard the medieval Icelandic Gísla saga Súrssonar, I was sitting on a mound where archaeologists had excavated a Viking-era burial site, where Gisli might very well have buried Vestein, in the Haukadalur valley, on the banks of Dýrafjörður, in the Vestfirðir, or Westfjords of Iceland. It was July, and the grass grew high, spangled with toadstools, wildflowers, and dried sheep dung, but it wasn’t haymaking weather. Under a gray, drizzly sky, beside the subarctic waters of the fjord, I huddled with my husband, Karl, on a gray wool blanket. “Are you cold? Do you need another blanket?” one of our companions asked in English. They stood before us, braced in the wind, booted and cloaked: Jón, smiling straight at us as he recited dozens of pages of Icelandic text from memory; his assistant, Júlla, intently interpreting. “Yes! Scabbard.” It was the one word for which she needed a prompt. Jón and Júlla were, over the course of three hours, recounting the entirety of Gísla saga, in the rain, for an audience of two Americans. The Sagas of Icelanders chronicle the settlement of Iceland during the ninth to eleventh centuries, known as both the Viking Age and the Saga Age. “They’re not stories,” Jón gently reproved me: “they’re sagas,” a unique medieval prose form that upends the conventions of domestic drama, genealogy, historical fiction, adventure, and myth. They date not from the Viking Age but from the Christian, multilingual literary society that succeeded it. Around 1130, Ari Þorgilsson, the first recognized Icelandic author and historian, wrote Iceland’s origin story in The Book of Icelanders. By the thirteenth and fourteenth centuries, editors, translators, and even critics abounded, and celebrity poets, such as Snorri Sturluson, toured the royal courts of Scandinavia and England. That period of passionate inquiry and composition might yet be called a Silver Age, for its writers were troubled by lost cultural heritage, civil war, the relinquishment of Icelandic independence to Norway, and a sense of belatedness. Ari had composed the Íslendingabók with the authority of proximity and living witness, within a generation’s memory of the Saga Age. Two centuries later, the anxious writers committing saga-like oral narratives to parchment cited Ari’s book for credibility. It protected the poet well. in the air around me. Centuries later, I looked up Gisli’s valley, Haukadalur, on Google Maps. To reach it, Karl and I drove up a mountain pass into a cloud, where visibility shrank to ten feet. We couldn’t see the ice, the rams, or the dizzying plunges off the sides of the unguarded switchbacks until we were nearly upon them. It was a bit otherworldly. Many travel to Iceland hoping to find, among the natural splendors, something unnatural: rocks that suggest astonished trolls, rocks that house hidden people and impel splits in the highways. Here we’d found something more rare than the einhyrningur: a retired commercial fisherman luring tourists with three-hour recitations of Icelandic classical literature, unhurried and unabridged. The saga abided by internal standards of fantasy and reality: it casually, dutifully noted that one neighbor was related to a half-troll, but insisted, with fantastical exactitude, on the location of his farm at the head of Arnarfjörður. (Likewise, as we’d walked the shore road, I’d noticed a house with letters over the door: SAEBOL. Recalling the farm name from the saga—Gisli’s farm, Hol, was separated by a hayfield wall from his sister Thordis’s farm, Saebol—I pointed it out. Jón replied, “This isn’t Saebol. I don’t know why they have that sign.” The real Saebol, he explained, was still two whole minutes away.) The few times my attention wandered, I watched shore birds and fantasized about hot espresso, hot showers, hot heat back at the hotel—only to yelp with glee, when Gisli’s valiant wife, Aud, swung a silver-filled purse to smash an assassin’s nose. Even as it tested my endurance, Jón and Júlla’s performance was no-frills, dramatic, funny, and awkwardly intimate. Just as the sagas’ syncretic origins had straddled Christian and pagan traditions, family lore and scholarship, the performance was at once medieval and contemporary: bilingual, reworking an eight-hundred-year-old text into a new oral translation, uniting folk culture and interactive outdoor theater. We were in the presence of skalds, minstrels, actors, readers, reenactors; they were tour guides to the remote, magical land of narrative. Once Gisli had leapt to his death, Aud had gone on pilgrimage to Rome, and a long-forgotten brother in Norway had settled the last score, there ended the saga of Gisli Sursson. We clapped our mittens and cheered. 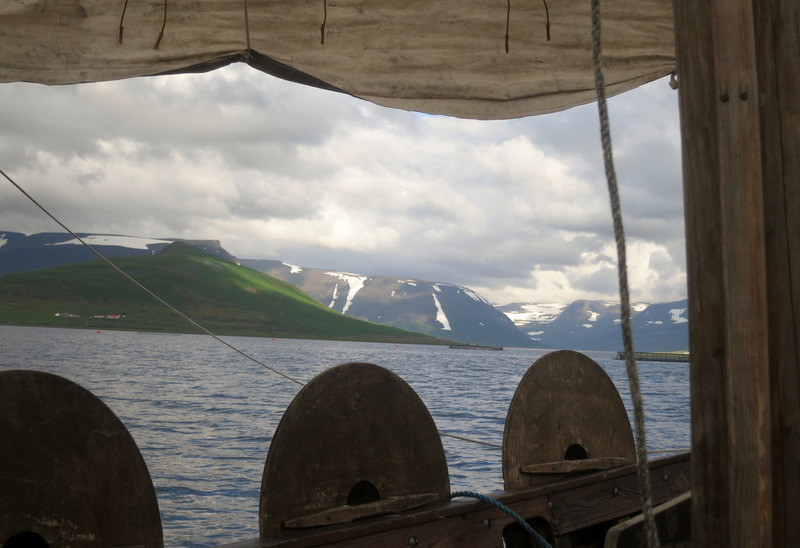 Then, with no angling expeditions or whale watches—their sideline—booked for the afternoon, Jón invited us for a sail in his miniature longboat, Vésteinn, whose gunnels were arrayed with wooden shields. Vésteinn motored out of the harbor into the open water of the fjord. That was when the sun came out for good, turning the sky blue, and the fjord into a mirror of sky, clouds, and dark cliffs carpeted with evergreen crowberries. Everything glowed green, blue, gold, black, or white, evoking Gisli’s encomia of the “proud sea-flame” and the “pure gold” that was “lit by the blue wave’s lands,” even if he was talking about women and bling. Júlla cut the engine, and they unfurled the square sails. Vésteinn surged forward. Jón offered me the rudder, and we sailed the little Viking ship up the fjord. I felt something akin to what Jón had felt, years before, after hearing a lecture on heritage tourism, when he’d rushed home to reread the sagas for the first time since his school days. 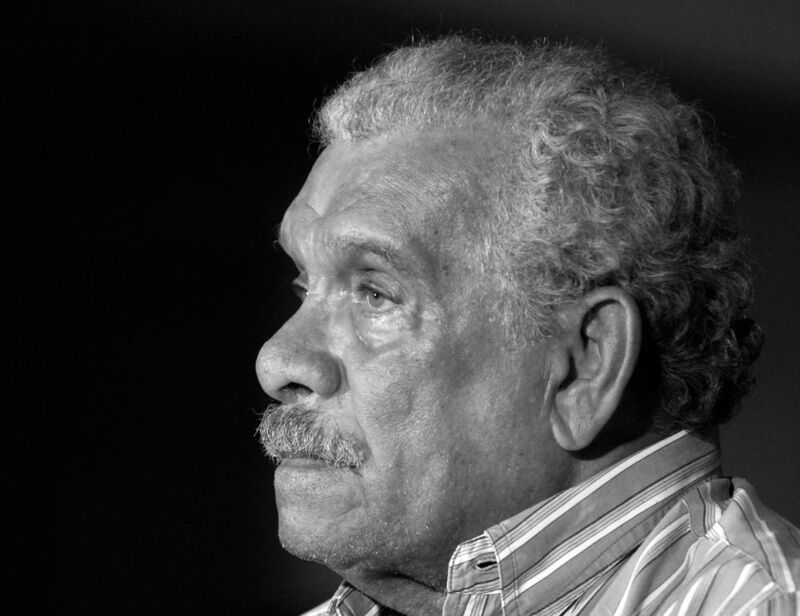 He’d learned Gísla saga by heart: he, too, would be a wringer of verses, bedazzling the coldest, wettest afternoons with the power of language. In a time of purportedly diminished attention spans, there was something brave and poignant about Jón and Júlla’s uncompromising fidelity to the prose. For Odin has withdrawn his patronage of the poets, not that he ever did much for them in the first place. “Words could not fell me,” Gisli bragged, “by the fullest of means,” but it was precisely words that had undone him: words overheard, words sworn in oath, words that even or especially “should not have been spoken.” Had Jón taken heed? Karl and I were the only people who’d booked the Saga tour all season. 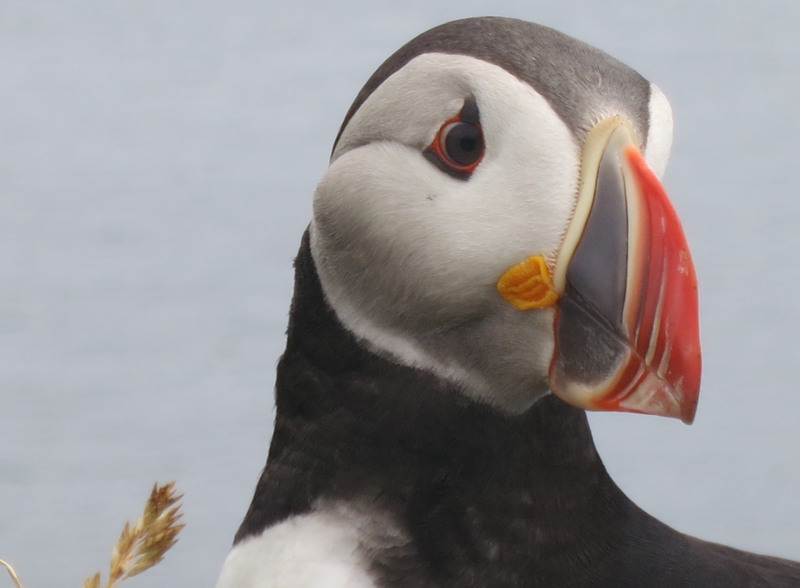 Even if the tour weren’t located in Þingeyri (population 260), in a part of the country only forty-five minutes’ flight from Reykjavík and full of marvels—red sand beach, puffin cliffs—but virtually empty of tourists, it would have struggled. Like many other expressions of Westfjords creativity, the Gísla saga tour fiercely resisted homogenization and audience expectations—as did the midcentury outsider artist Samúel Jónsson’s re-creation, in concrete, of the Alhambra’s Fountain of Lions, and the Sea Monster Museum, a nineteenth-century-style natural history museum of the imaginary, Wunderkammer of curatorial fashion, and assembly for all the steampunks of Bíldudalur, population 166. Jón violated generic purity: as a tour guide and small business owner, he couldn’t be taken seriously as a theater performer; as an artist, his work was too classical, rigorous, and medieval—really medieval—to compete with Viking Lite attractions. I saw him as a fellow word-lover, trying to eat, pay rent, and make beauty in a world that expects creators to work for free, that pays for drivel and corporate content but weaponizes the fear of selling out, that conflates the need for a living wage with a lack of artistic commitment, and that mocks the persistent dreamers as hobbyists, kooks, and amateurs. “There has never been a more accomplished and courageous man than Gisli,” the saga notes, “and yet fortune did not follow him.” When we met him, Jón had just sunk his savings into a Danish Viking house, which he’d shipped to Þingeyri for lamb roasts and fireside saga-telling evenings. For several months, he hasn’t answered my e-mails or messages. He’s let his Web site lapse; his phone’s disconnected. I remember that Gisli, plagued by nightmarish forebodings, dreamed one good dream of his future: in a hall burning with hearths indicating long life, “men on benches / greeted me kindly,” and a dream-woman told him, “Better things soon await you.” I dream that Jón still carries on the Viking tradition of loving words. Alison Kinney is the author of a forthcoming book of cultural history, Hood.